Fortieth Anniversary Regatta called "Vogalonga" will take place in the summer, June 8, 2014, in the most romantic city in Italy - Venice. The festival is one of the most important traditional events of the country and each year attracts more and more willing to participate in this exciting "race" on the gondolas. 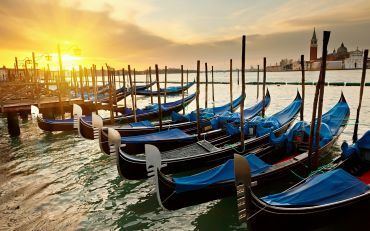 Every year the event competing rowers from around the world and more than 1,500 traditional Venetian rowing boat, which is also a symbol of Venice. Swim route for many years has not changed. 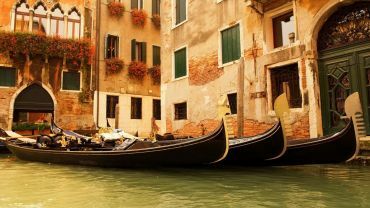 Gondoliers, overcoming distance 30 km, pass through the most picturesque islands and channels. Here you will not only enjoy the lack of engine noise and destructive waves for the city and see "calm surface" and the sea of enthusiastic emotions, soaring in for this unforgettable show! Lush floral parade of coaches during the spring in the resort town of Italy - San Remo.